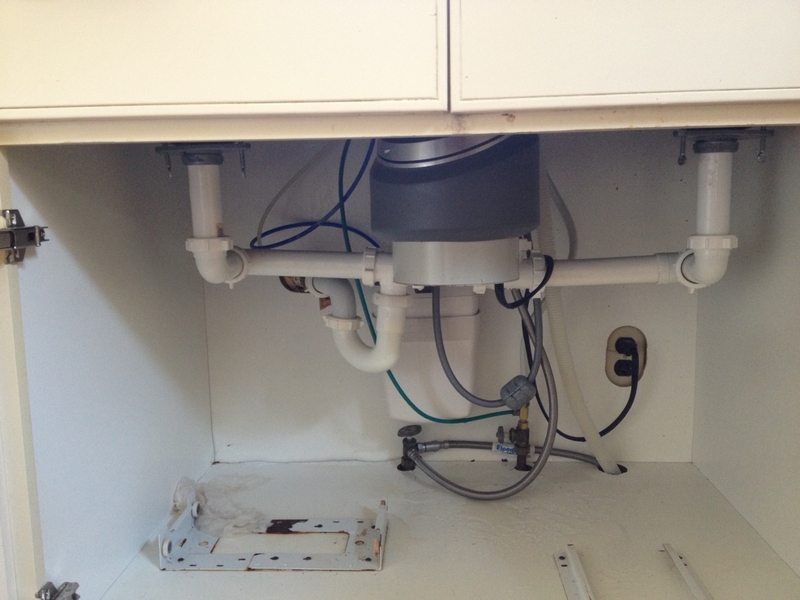 Here is a picture of plumbing pipes and a garbage disposal. These are the pipes that clog when a backed up kitchen sink isn’t draining properly. But, when we get called we end up having to go deeper then just the pipes under the sink. Most the time we’re running are snake in the wall trying to open and push out that stubborn clog. Remember, clogged plumbing, drain cleaning, sewer cleaning isn’t everyone’s specialty and just because you can’t unclog your drain doesn’t mean it’s a big issue. Professional’s like us have the proper equipment to unclog and open a stubborn drain line. No matter if it’s a main sewer line with tree roots, grease, or a kitchen sink with grease and a tomato that never should have went down the drain we have the proper equipment to open the job and get it done.